For all your heavy duty drilling projects, Delta Coring offers you our efficient core drilling services. Drilling on hard surfaces like concrete or brick walls of residences, for instance, requires a truly powerful and effective drill that can create the right size and shape of the hole. Our professionals take extra care not to damage the surface or structure on which the hole is being drilled so as to avoid any wastage of time and money being spent on repairing the cracks caused by inefficient drilling procedures. Delta Coring has undertaken many core drilling projects over the years. Our drill bit sizes rang from a 1/2 inch diametrer to 26 inch diameter. Hence, we are very capable of offering core drilling services that can be used for various projects and applications. 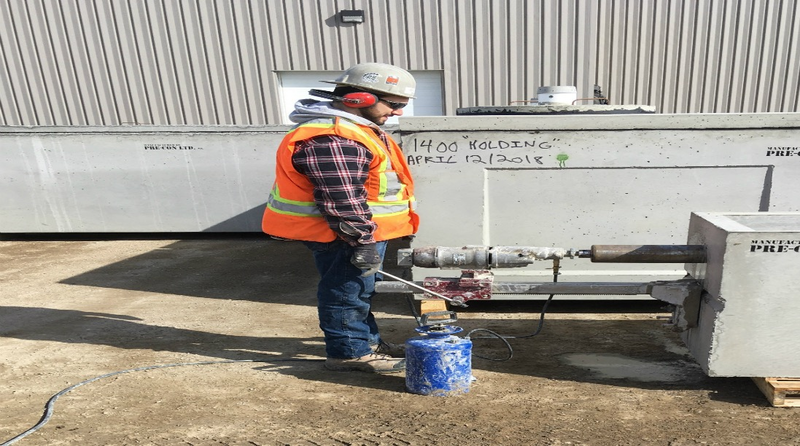 For more information about our drills and other machinery used in the Core Drilling processes, you can call up our offices on (306) 242-7747 and speak to our representative. You can even have the option of sending us an email on deltacoring@sasktel.net and give us the details of your project. One of our team members will get back to you as soon as possible.